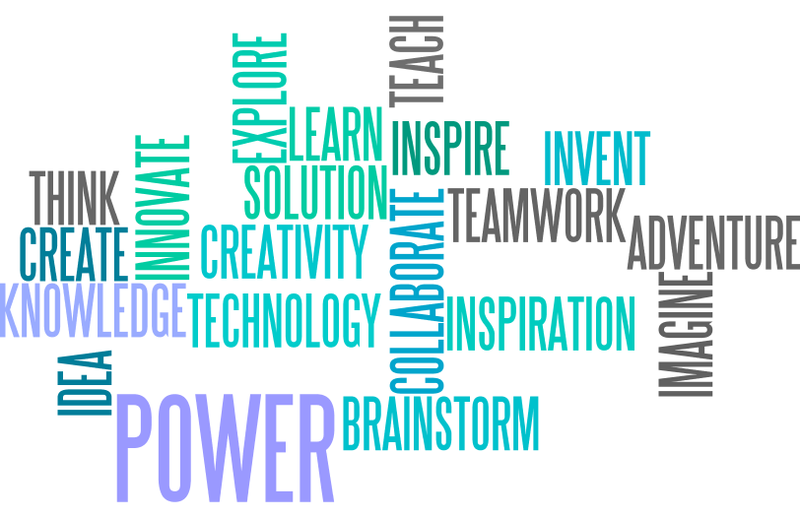 Let’s bring some excitement to your normal vocabulary by using Wordle.net. I’m sure you’re like me and always see these neat word images where everything is pointing in different directions… You know the ones with different colors, and fun fonts, and they’re just so much fun to look at. Sure we can easily create that ourselves; with some patience and a little WordArt, but do you really want to spend that much time on it? I’m going to guess no. 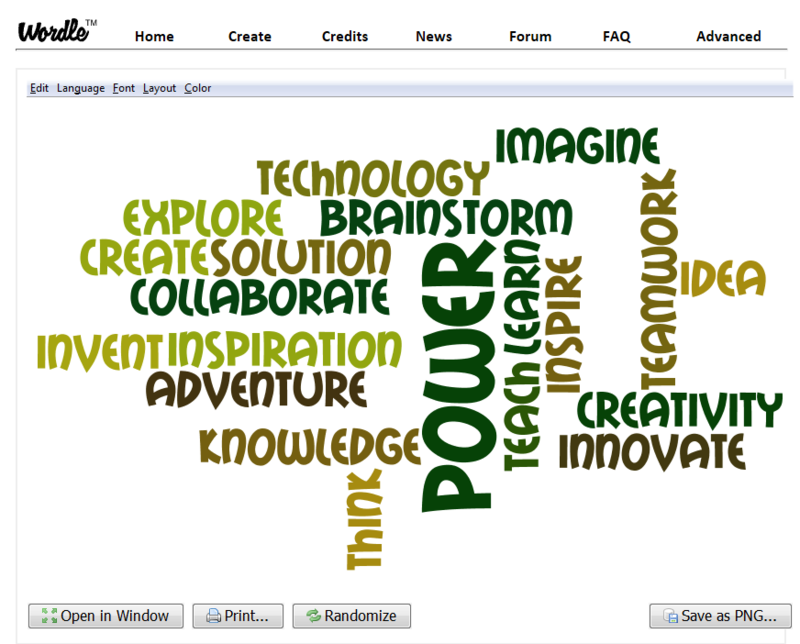 So I’m going to show you Wordle.net, and I hope you and your students create some exciting word art. Their website feels a little circa 1999 in design, but it’s still just as easy to use. When you land here, you’ll just want to click on “Create Your Own”. 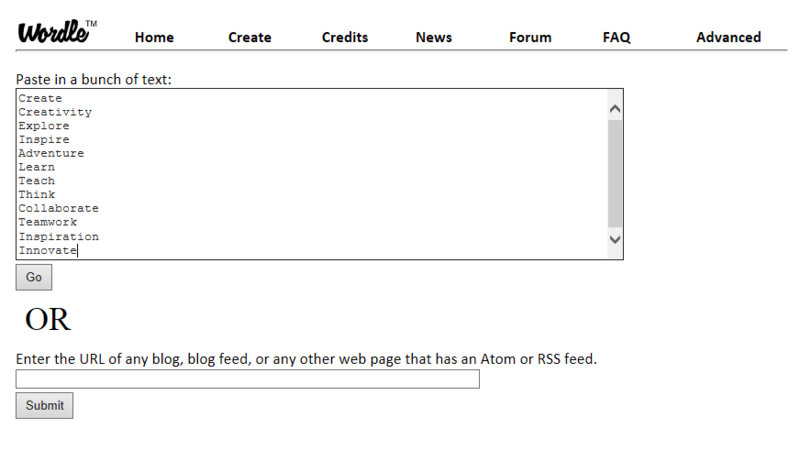 Then you can paste or type in the list of words, or even a paragraph, you’d like to use…. Click “Go” and see what it creates! This was what Wordle generated for me, but I wasn’t a fan. The real fun for you, and your students, starts here… right above the word art, there is a menu with drop downs to play with the font, color scheme, layout and more to get your word art exactly how you want it. After changing the settings for a few minutes, I was pretty happy with the end result, take a look! Next PostLive Video is Here!